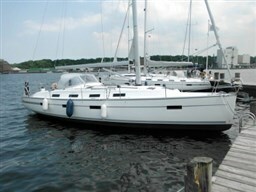 Very well maintained owner ship with a 80hp Ford Sabre diesel with approx. 700 operation hours after overhaul. 2 additional Maxwell 2 speed winches, Searchlight from the inside can be operated, 2 poles and 2 Headsails with roller systems, Electr. Anchor windlass with 40 m chain, bow thruster, and Becker rudder for excellent manoeuvrability, SIMRAD hydraulic Selbssteueranlage, 50 LTR. waste-holding tank, all the tanks in stainless steel, in the wheelhouse ceiling and walls panelled with wood, Furuno wifi radar, 2 FM devices, AIS Transmitter/receiver, shortwave receiver, flinger for clear, warm air heating boar tenants D4, 2 sleeping places front, 2 beds BB. rear with sink, Electr. Toilet sink with hand shower, fridge, sink, 3-flame gas cooker, Salon ceiling with teak wood clad. 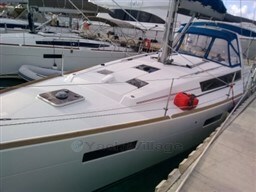 Dear Sirs, I have seen on YachtVillage your offer about Fairways Marine Fisher 37 - 1980 (code: 266083). I am interested in the offer and would like you to contact me. Thank you.